Boyesen rage cage systems are proven to work and we've got them right here waiting for you. Click here to see applications. 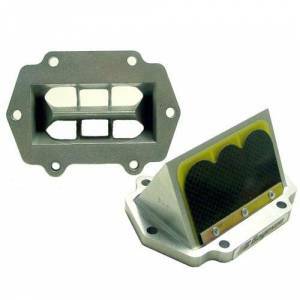 Description: Fits: 440 Sno Pro 2003-2004 F5 Firecat/Sabercat/M5 2003-2006 Patented, one piece, cast aluminum Reed Block system that delivers guaranteed bolt on performance. All gaskets provided. No modifications required. Description: Fits: Crossfire 8 / Crossfire 8 Sno Pro 2007-2009 Patented, one piece, cast aluminum Reed Block system that delivers guaranteed bolt on performance. All gaskets provided. No modifications required. Description: Fits: Arctic Cat Crossfire 1000 / Sno Pro 2007-2011 Patented, one piece, cast aluminum Reed Block system that delivers guaranteed bolt on performance. All gaskets provided. No modifications required. Description: Fits: 800 HO / 8000 / F8 / M800 / FX800 2010-2017 Patented, one piece, cast aluminum Reed Block system that delivers guaranteed bolt on performance. All gaskets provided. No modifications required. Description: Fits: 600 XCR (triple) 1997-1998 700 XCR 1998-1999 Patented, one piece, cast aluminum Reed Block system that delivers guaranteed bolt on performance. All gaskets provided. No modifications required. Description: Fits: 800 XCR 1999-2003 Patented, one piece, cast aluminum Reed Block system that delivers guaranteed bolt on performance. All gaskets provided. No modifications required. Description: Fits: 700 Twin w/balance tube 2001-2004 800 Twin w/balance tube 2001-2003 Patented, one piece, cast aluminum Reed Block system that delivers guaranteed bolt on performance. All gaskets provided. No modifications required. Description: Fits: 500 SS (valve & manifold replacement) 2004-2007 Patented, one piece, cast aluminum Reed Block system that delivers guaranteed bolt on performance. All gaskets provided. No modifications required. Description: Fits: 800R Power Tek (Uses OEM Manifold) 2008-2016 Patented, one piece, cast aluminum Reed Block system that delivers guaranteed bolt on performance. All gaskets provided. No modifications required. Description: Fits: 800R Power TEK (Full neck valve) 2008-2016 Patented, one piece, cast aluminum Reed Block system that delivers guaranteed bolt on performance. All gaskets provided. No modifications required. Description: Fits: 600 SDI (rev chassis) 2008 600 HO SDI 2004-2007 Patented, one piece, cast aluminum Reed Block system that delivers guaranteed bolt on performance. All gaskets provided. No modifications required. Description: Fits: 700 MXZ (w/Mikuni Round Slide Carb) 1999-2000 Patented, one piece, cast aluminum Reed Block system that delivers guaranteed bolt on performance. All gaskets provided. No modifications required. Description: Fits: 600 HO E-Tec 2009-2016 600 SDI (xp chassis) 2008 Patented, one piece, cast aluminum Reed Block system that delivers guaranteed bolt on performance. All gaskets provided. No modifications required. 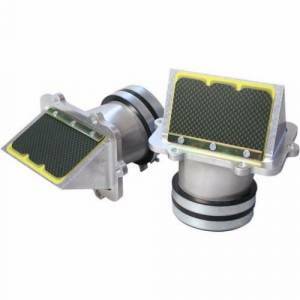 Description: Fits: 1000 SDI, Mach Z 2005-2007 Patented, one piece, cast aluminum Reed Block system that delivers guaranteed bolt on performance. All gaskets provided. No modifications required. Description: Fits: 700 Venture 2004 700 SX Viper / ER / Mtn. 2002-2006 700 SRX 1998-2002 Patented, one piece, cast aluminum Reed Block system that delivers guaranteed bolt on performance. All gaskets provided. No modifications required.